As Blagojevich Trial Ends, Rangel Scandal Hits Dems : It's All Politics Democrats who breathed a sigh of relief upon seeing the Blagojevich trial come to an unexpected end in Illinois now are nervous about another potential ethics stain on the party: charges leveled against Rep. Charlie Rangel of New York. That sound you heard the other day was a huge sigh of relief coming from Illinois Democrats. They had thought, and feared, that the corruption trial involving former Gov. Rod Blagojevich (D) would go on all summer, into the fall campaign, at a time when Democrats are desperately trying to hold onto a Senate seat and the governorship. It was Blagojevich's attempt to sell the Senate seat to the highest bidder that was a major part of the reason he got impeached, removed from office and now standing trial. Republicans were licking their chops at the prospect of having Democrats in President Obama's home state testify in a trial that could only embarrass the Democratic Party ... everyone involved, except Blagojevich, who seems impossible to embarrass. But that trial is about to come to an end and Illinois Democrats seem to have, as of now at least, dodged a bullet. Rangel, the long-time Democratic member of Congress from New York, is now said to have violated several House rules, according to the ethics committee, which will hold a public trial to deal with the charges. While the committee won't spell out the specifics until next Thursday, Rangel is under fire for an assortment of things, including the use of four rent-stablized apartments in New York City, including one as a campaign office, which could violate campaign finance laws (the rent on the apartments were well under market value), having an oil executive pledge to make a contribution to a foundation he ran, and his failure to report income on a villa he owns in the Dominican Republic. There are also questions about his travel to a conference in St. Maarten that was sponsored by lobbyists, which would violate House rules. All this coming from the guy who for years chaired the Ways and Means Committee -- which is responsible for writing the nation's tax laws. The last member of Congress forced to go through this kind of an ethics trial: James Traficant, an Ohio Democrat, who was expelled from the House in 2002. For the longest time, House Speaker Nancy Pelosi and many other powerful Democrats pooh-poohed the complaints about Rangel, saying it was just Republicans out to make political points. But for these Democrats, who came to power after 2006 by decrying the GOP's "culture of corruption," increased charges of hypocrisy were getting out of hand. Last March, under belated pressure from Pelosi, Rangel relinquished his chairmanship of Ways and Means -- something he long insisted he would not do, but which, ultimately, he had little choice. Not every Democrat has deserted Rangel. Sen. Charles Schumer made a $10,000 contribution to his fellow New York Democrat last month, and he is scheduled to host a Rangel fundraising dinner in August. Republicans, of course, would love to paint Rangel as the poster boy for Democratic ethics woes -- just as Tom DeLay, Duke Cunningham, Bob Ney, Mark Foley and Jack Abramoff were for GOP scandals back in 2006. Having Rangel's problems on the front pages is the last thing the Democrats, whose control of the House is thought to be in jeopardy, want. 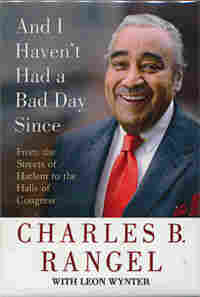 Rangel, 80, says he will not resign and will continue his bid for a 21st term. He is facing several challengers to his congressional seat that he first won in 1970, when he toppled the legendary Adam Clayton Powell in the Democratic primary. Among those running against Rangel in the Sept. 14 primary is Powell's son, state Assemblyman Adam Clayton Powell IV, who ran against Rangel back in the 1994 primary and got clobbered. Also running: Vince Morgan, a banker and former Rangel staffer; Jonathan Tasini, a liberal activist who challenged then-Sen. Hillary Clinton in 2006; and Joyce Johnson, who was a field director for Obama in 2008. Republicans are not a factor in New York's 15th CD, which is centered in Harlem and extends up to Washington Heights.